Friday, May 29, 2015, 7 p.m.
On the cusp of her 20th birthday, Raelee Nikole is debuting her full-length Answers on May 29 at Moniker Warehouse in East Village. Saturday, May 30, 2015, 8 p.m. Heavy metallers Raise the Guns will play a release party for their War of Attrition EP on May 30 at the Merrow in Hillcrest, on a bill that also includes Dark Measure, Imbalanced, and Cowgirls from Hell. Alt-rockers Idlehands plan a June 5 release party for their Dena Mora full-length at House of Blues. Country rockers Nancarrow and Sam Outlaw will share a dual-release event at the Belly Up on June 9. Billy Shaddox’s bluesy I Melt, I Howl, is due June 16. “I recorded this album on the heels of leaving my job in Spring 2014, buying a van, and touring and playing music all over,” Shaddox says. 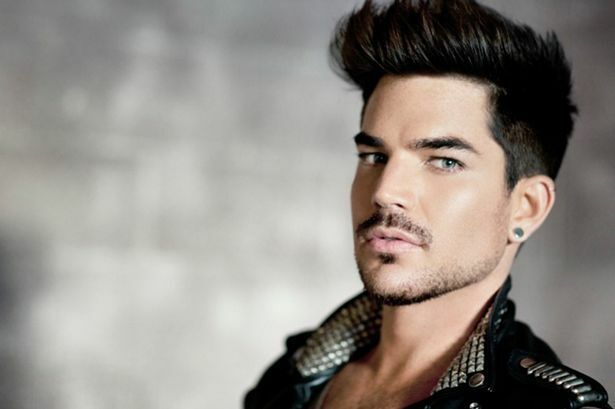 Famous former neighbor Adam Lambert’s The Original High drops June 18, featuring collaborations with Tove Lo and Lambert’s occasional Queen bandmate Brian May. Friday, June 19, 2015, 8 p.m.
A self-titled EP from Major Minus makes its debut at Soda Bar on June 19. “We’re working hard to create a memorable experience with a massive party atmosphere,” says guitarist Omar Lopez. After the release, “We’re taking some time off from playing locally to make sure that we break through with some momentum.” A single for “Shotgun to Heaven” is planned, and the band is shooting their first music video. Saturday, June 20, 2015, 8 p.m.
Lexington Field debuts Greenwood June 20 Soda Bar. “We’re playing what we call a banger set, one hour straight of intense fiddle rock,” says singer/guitarist Beau Gray. The album features new members Olivia Buscemi (fiddle), Tom Lazet (bass), and Anthony Belluto (guitar).